We had spent close to 9 hours traveling from Boston to Playa and throughout the day we were SURROUNDED by honeymooners! haha Traveling can be frustrating and there were definitely a few tense moments between Geo and I, thank goodness for some good Fruit Ninja to ease the stress – nothing like a little friendly competition to get us back on track and smiling/laughing! So, there we are roaming the very crowded beaches of Playa Del Carmen (it was Sunday so all the locals were enjoying their day off of work), exhausted, hot, a little grumpy. We decided to head back to the condo and just relax for the rest of the afternoon. We get back to the condo and George suggests we go up to the roof deck to slow down and enjoy the scenery. Perfect. This will be a great way to get into vaca mode! We decided to keep it a secret between us and our immediate family’s so that we could enjoy the week in Mexico without checking and responding to emails/Facebook messages. It worked out great because we were able to completely relax and also keep this fun little secret to ourselves for a bit. That night we were so exhausted, we were sleeping by 8 pm! Haha No special engagement celebration or anything – just sleep and it was PERFECT. Exactly what we both needed 🙂 I wouldn’t change anything about our engagement story, the whole experience was more than I ever thought it would be. CONGRATS!!!!!!!!!!!!!! 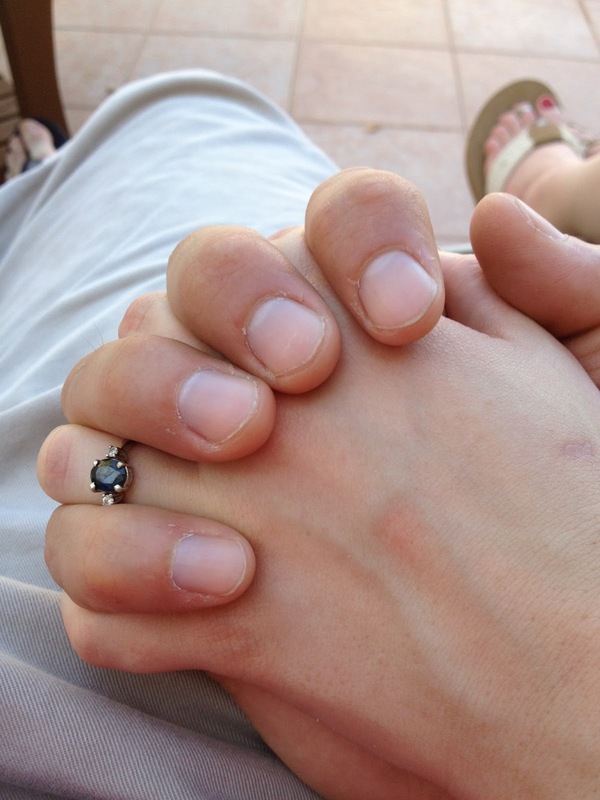 I love your ring, it's gorgeous! thanks for stopping by! Congrats girl, what a fun story!